It’s only when pulling up to the stone facade of the Ashford Castle that you’ll realize how incredibly good you’ve got it. 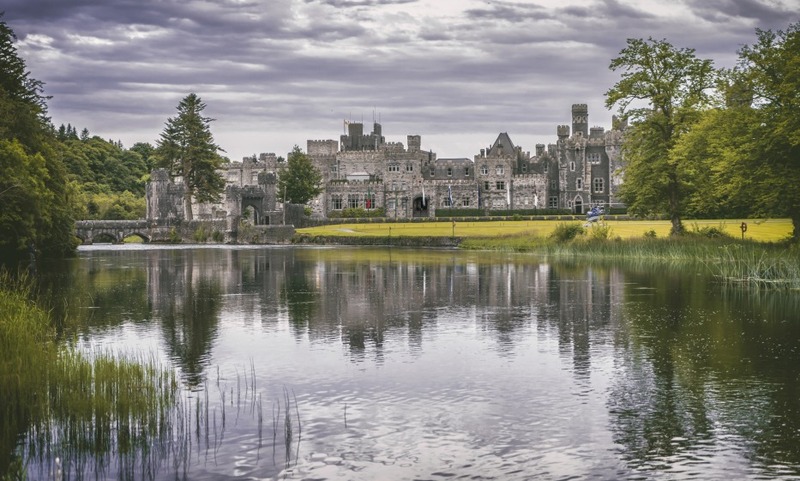 An 800-year old castle out in Ireland’s emerald green Cong county just opposite the shores of the largest lake in Ireland… it’s more fantasy getaway than a typical hotel stay. The activity list says it all: falconry in the mornings, fly fishing out on the Lough, horseback riding across the Irish countryside, followed by candlelit dinner in the dungeons and a fireside cognac for your digestif…. What more could one ask for? A bit of a star factor perhaps...Brad Pitt stayed once, adding his name to a guest list which includes the likes of John Lennon, Oscar Wilde and John Wayne. Not that it matters. The service, delivered by long serving staff members is of red carpet standards for all. Did we mention there’s a golf course too? Ashford Castle and environs is stunning. A fairy tale experience! The facilitates and grounds are impeccable and the setting magical. We were able to play golf on the manageable 9 hole course with brilliant setting and went on a Hawk Walk which was incredible. Our guide was so informative and helpful as was our wonderful hawk, I think Fómhar? The restaurants were wonderful and the food and spirits delicious. However, as incredible as all this was, it was the service that really stood out for us and punctuated the experience. From the gate keeper to the car stewards (Joe) and our bell hop Paddy and the barmaids and stewards- everyone was so gracious and informative and just plain friendly and nice and so enjoyable to be around. Fabulous. A rare visit back in time and the world of the aristocracy with all the conveniences of the modern era. Beautiful hotel and facility with excellent service. Really enjoyed the whole experience, including the activities centre. thanks . Absolutely wonderful experience. Made our visit to Ireland a memorable one. An amazing place with first class service since we arrived until our departure. The Ashford Castle is a gorgeous facility and the staff is wonderful. We were made to feel special our entire visit. World class. The grounds are fantastic and the hotel is beautiful.